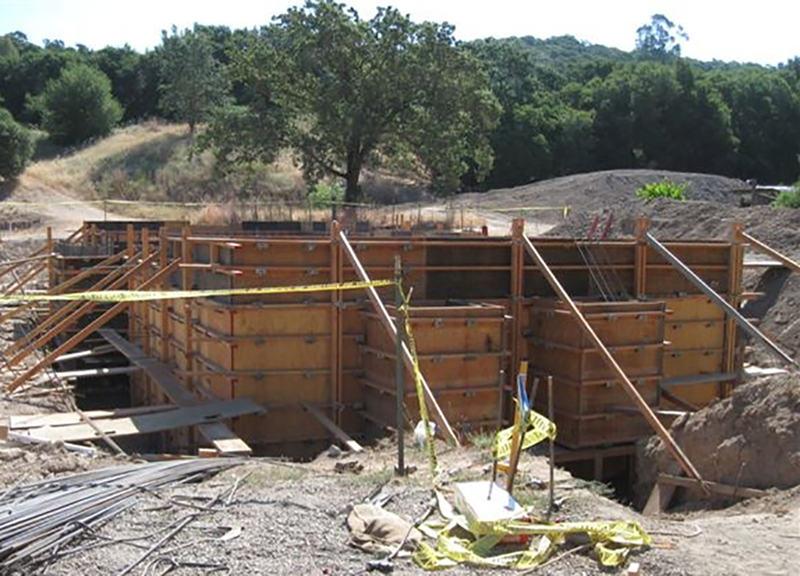 LeDuc & Dexter Inc. has recently done a new green residential construction project in Sonoma Valley. Hammond & Company was the general contractor for the project, which is a three-level home of approximately 3,000 square feet with a Platinum LEED rating, the highest green building rating given by LEED. LeDuc & Dexter Installed solar thermal panels and radiant floor heating system for the home, a 500-square foot cabin and a pool house. A mechanical room is located on the lower level of the home. A solar voltaic system generates the electricity. 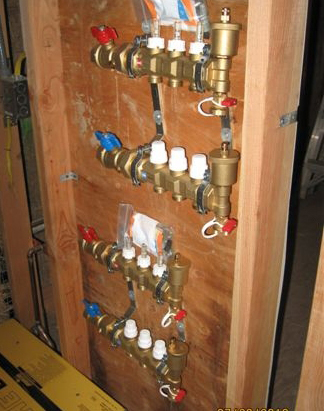 Layered sand beds, beneath ground level, are used to store heated water in PEX tubing for domestic use and the radiant floor heating system. Another innovative green energy method is used for cooling water. It’s called the “Slinky Method” with two 250-foot trenches in a fill slope containing curled piping to form the cooling system. 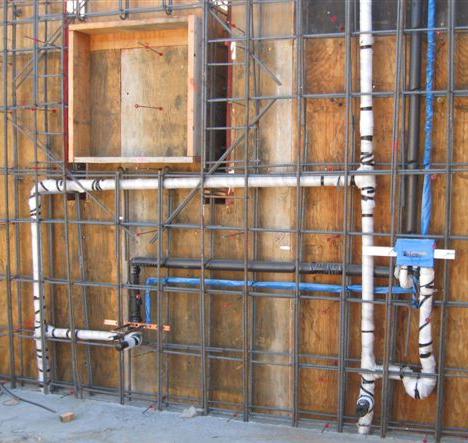 Now that the soil is built up to the original contour of the building site, this system can maintain water at cold temperatures. This home also features straw bale insulation, natural plaster walls, and a combination metal and living roof with native succulent plants. LeDuc & Dexter installed a rainwater harvest system to capture and store water in an underground cistern. From there, the water is then pumped for outdoor irrigation and also used for toilet water. A high-level knowledge base is required for sophisticated green building projects like this LEED Platinum home. Bruce Hammond, President & CEO of Hammond & Company, also owns and operates Longview Education Associates with his educational partner architect Pete Gang.